Our mixed material industrial screw top stool goes from counter to bar height easily, making it a great choice for mixed-sized dining areas. Our wood and metal industrial style stool has a reinforced base and an adjustable seat with foot rest to accommodate guests of varying statures. 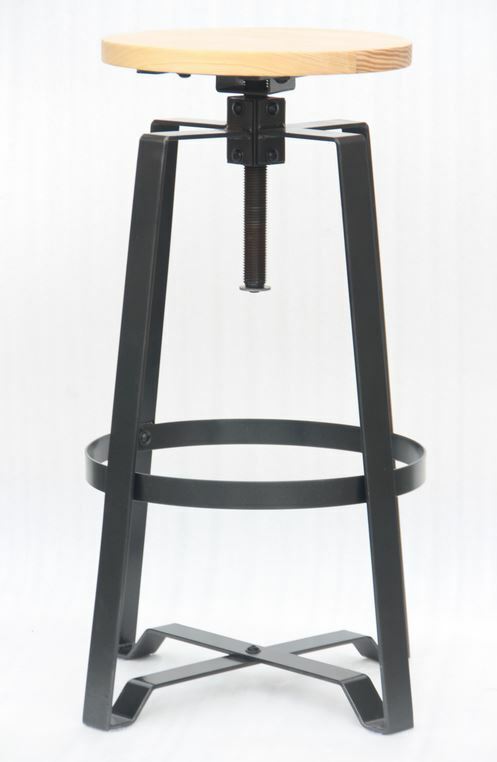 This stool is a durable and versatile addition to either your counter or bar height areas.